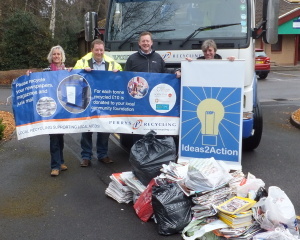 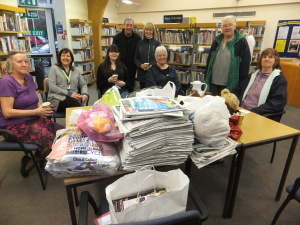 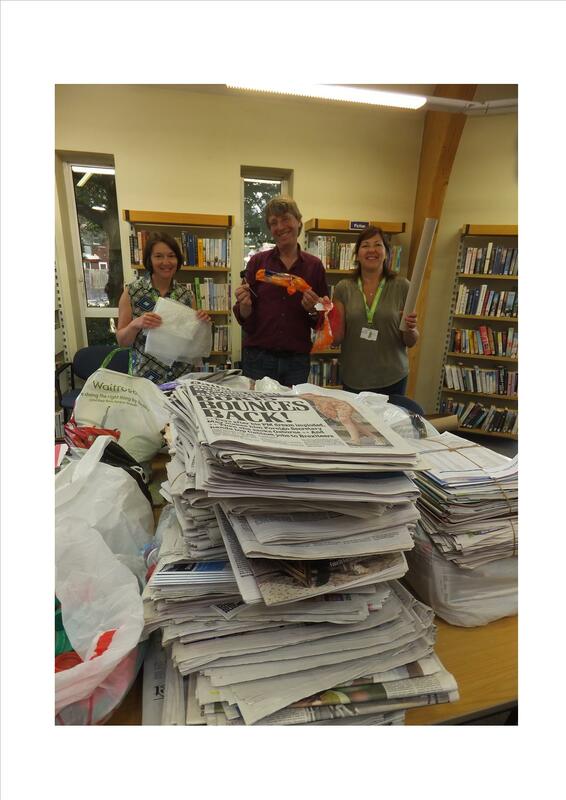 The Win-on-Waste – Creekmoor project offered Creekmoor residents the opportunity to save certain items from their rubbish or recycling bins during February, March and April 2015. 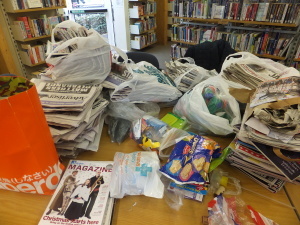 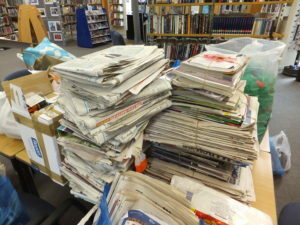 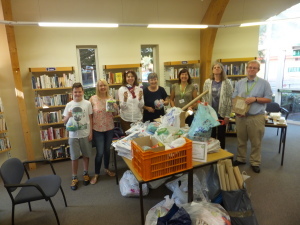 The items were requested by local voluntary organisations and included: corks (The Dorset Scrapstore), milk bottle tops (Montacute School), newspapers/junk mail/magazines/telephone books (The Dorset Community Foundation) and aluminium drink cans (Dorset Blind Association). 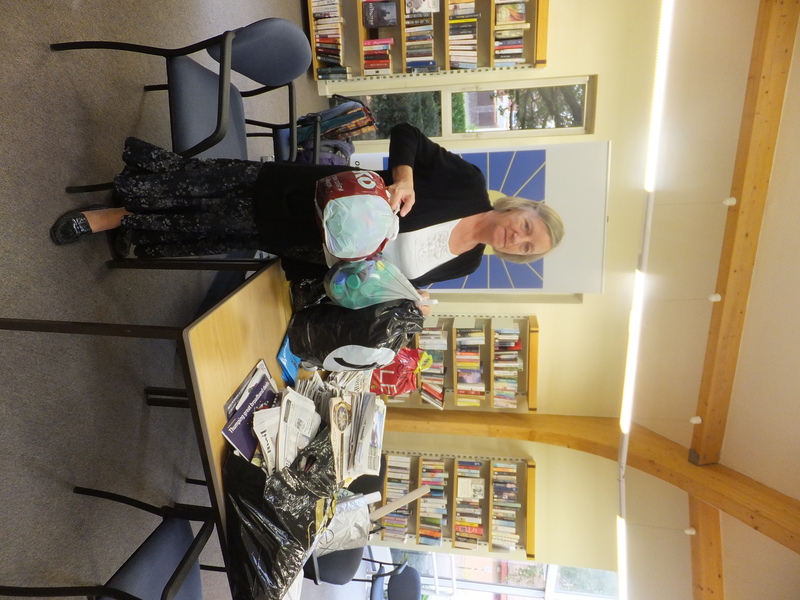 The person or family collecting the most each month and a runner up received prizes donated by local businesses. 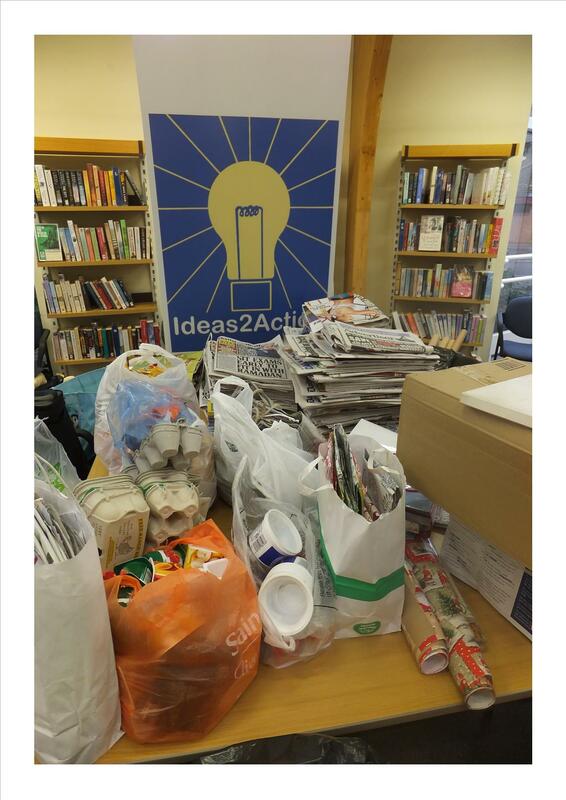 The Creekmoor Library offered space from 11am to 1pm on Saturdays 28 February, 28 March and 25 April and postcards letting everyone know about the project were delivered to homes in January. 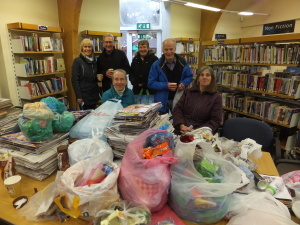 Although the project has officially finished, a core of 25 residents are still keen to continue saving and donating items. 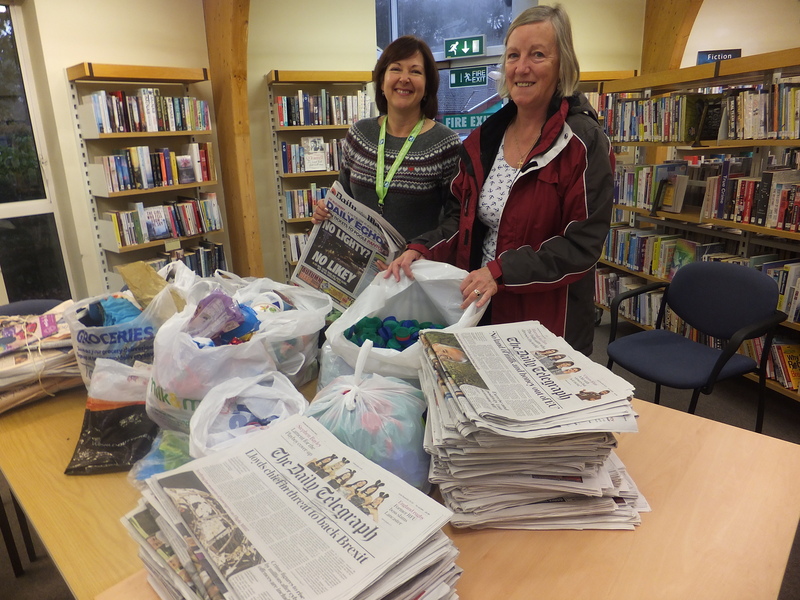 They now meet on a monthly basis at Creekmoor Library and donate items requested by organisations from the We Need That directory. 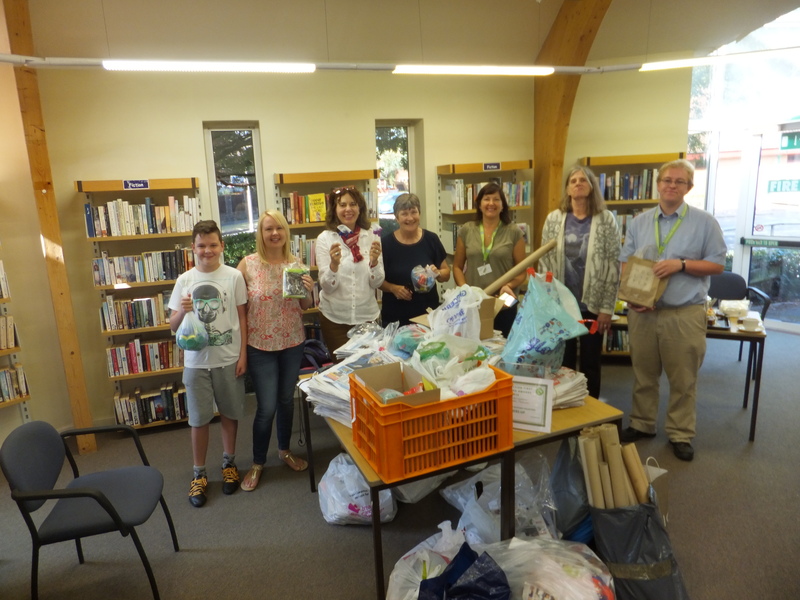 Dates for the rest of 2017 are: 14 October, 11 November and 9 December.